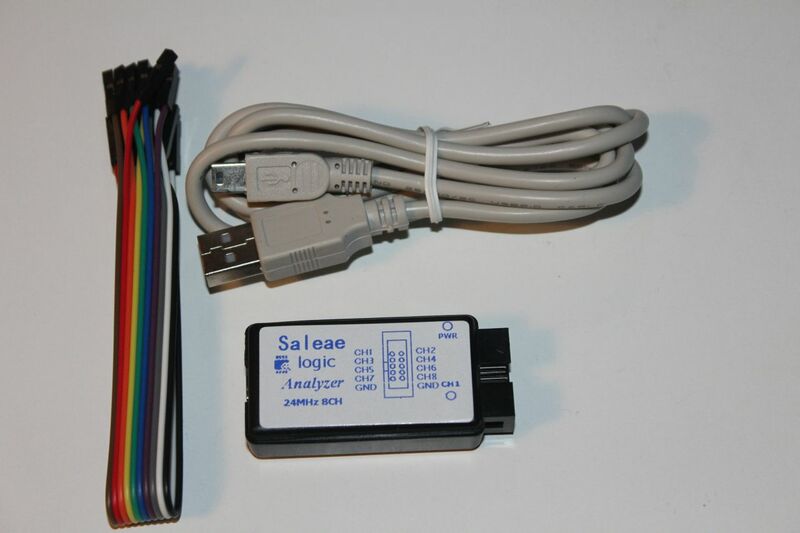 Postman (or woman) brought envelope containing Chinese Saleae Logic analyzer today. Lets see if fierce 20€ price is justified for this plastic brick. 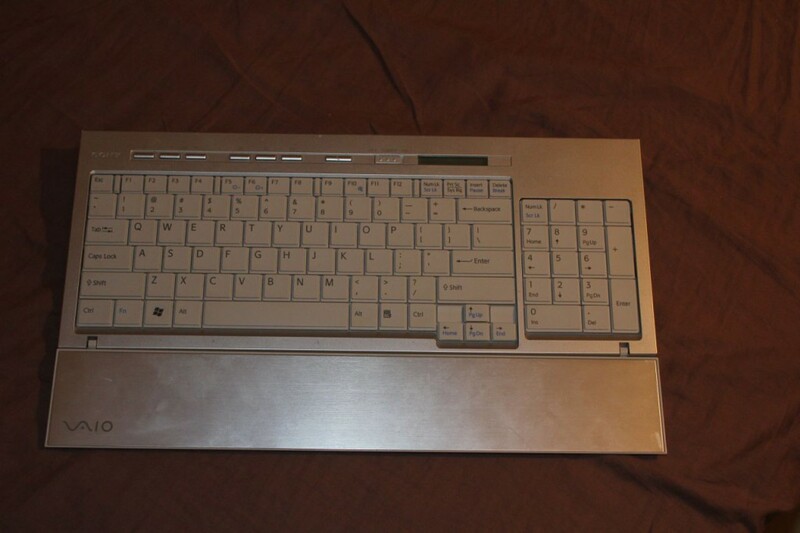 I also tried to reverse engineer one Sony VAIO wireless keyboard which may be more difficult that it first seemed. When getting something from China first thing to do is open the device. Sometimes solder joints may be shorted together or broken already, and sometimes they might not be what ordered (e.g. these super cheap 4-32GB usb sticks that are just weirdly formatted 252MB flash drives). There even might be evil spying devices inside! So I pried plastic housing apart and raised badly soldered board in the light. Typical low quality board with not so great soldering and fume residues all over the thing. Yeaah, more residues and pads for missing noise suppression capacitors, I think. After cleaning with G-20, board could need some rework, but it worked. Board contains Cypress USB enabled 8051-based (speak about legacy, these things are everywhere, from old eighties toys and cash registers to usb audiocards and apparently logic analyzers)and micro controller, small eeprom, input buffer that hopefully protects computer and main IC and some discrete components. Definitely not more expensive than twenty bucks/euros. 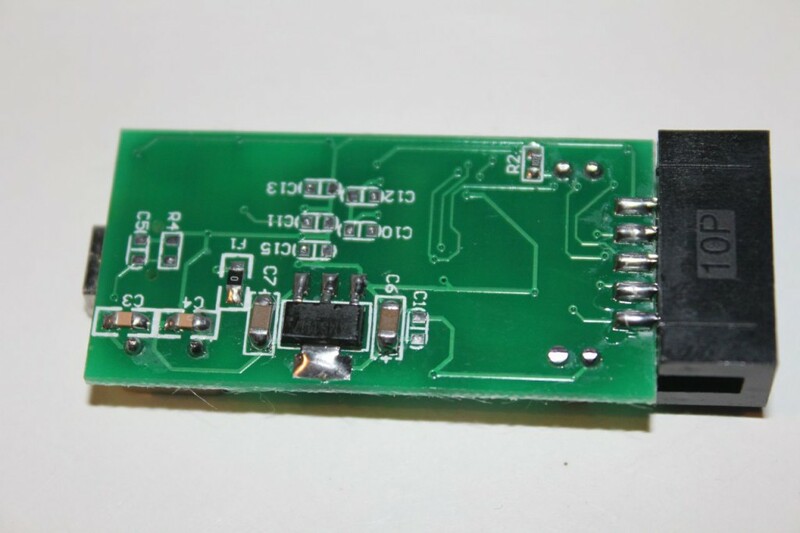 Without that controller it would not be even worth of $5, Cypress IC is like $12 when ordering more than 1000 pcs. 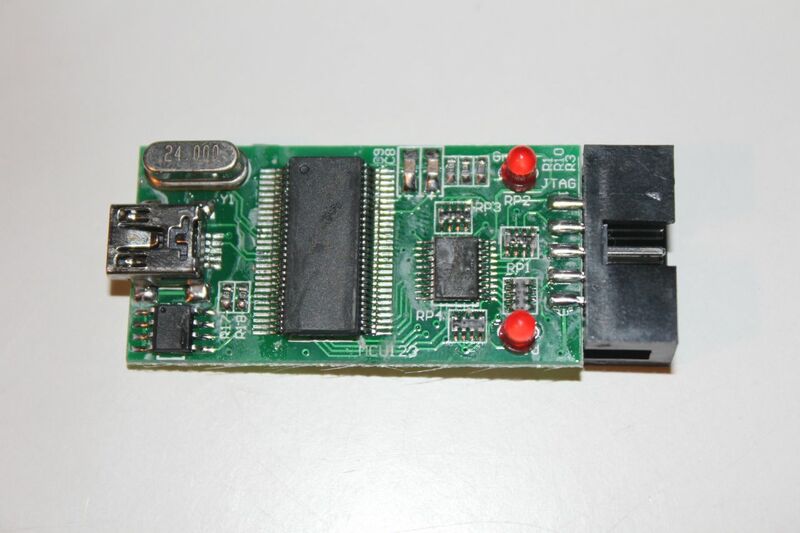 Oddly the header is labeled JTAG, I think this device may be actually same that those cheap JTAG tools. Works, but what a cheapo, even sticker is wrongly placed and ink comes off, I will make better label with laser printer someday. The genuine Saleae sells at $149, and it has similar hardware inside. It also has metallic stylish enclosure and includes nice testclips and leads. It has better support and warranty. Also big chunk of price goes to software development, which is professional quality, and even looks good, other than many other similar projects. 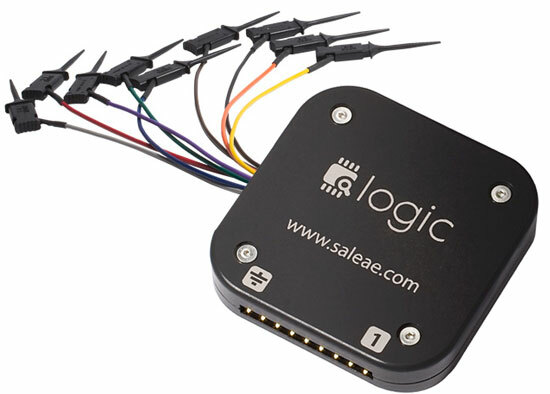 Saleae Logic software supports many protocols to decode, has triggering functionally and is easy to use. Decoded data or RAW data can be exported to CSV file, and then processed with other applications and scripts. If you just have enough money, buy the genuine one, for creator’s sakes. From hardware view it might look overpriced, but price also includes software and other expenses of making product like this. Myself I don’t have wealth the means to buy this, even 20€ ripoff feels expensive. But still I could throw couple coins just for great software. 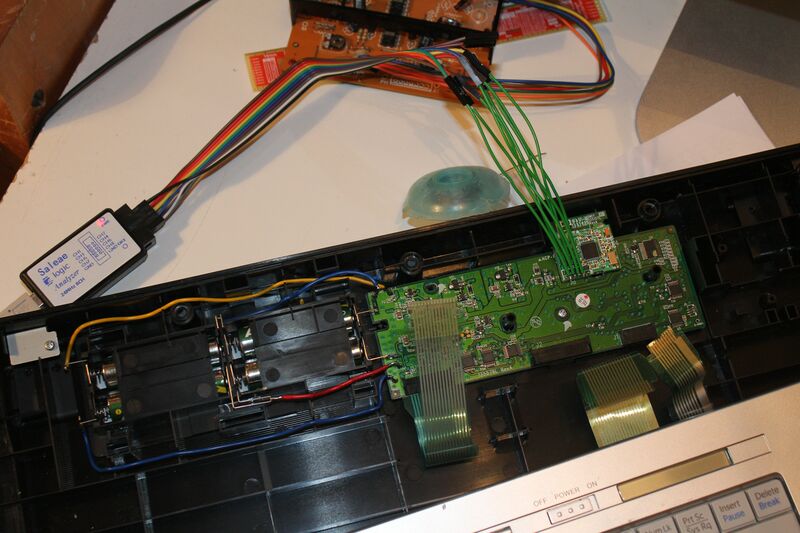 Anyway here is the cheap logic analyzer hooked in to Sony VAIO VGP-WKB5US keyboard. Keyboard is decent, but has no receiver, as it is from all-in-one computer that has internal receiver. 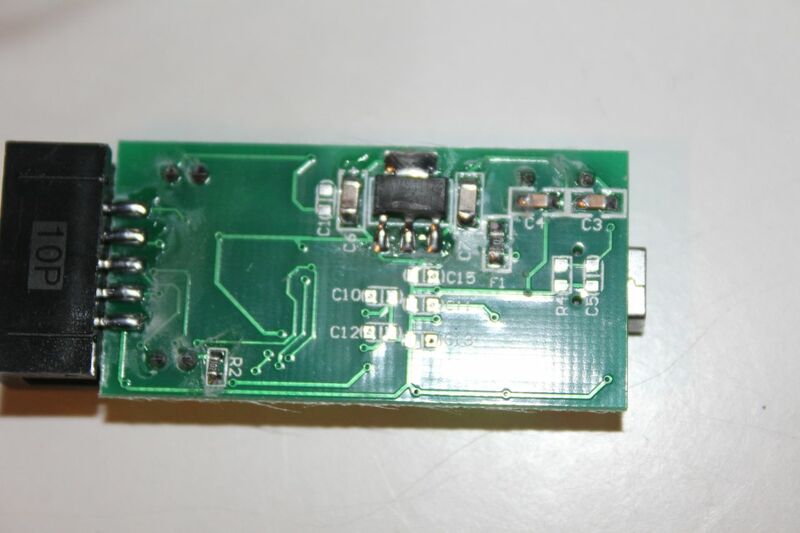 Keyboard of course does not use normal bluetooth, but some Cypress WirelessesUSB ic and CY8C29666 PSoC. 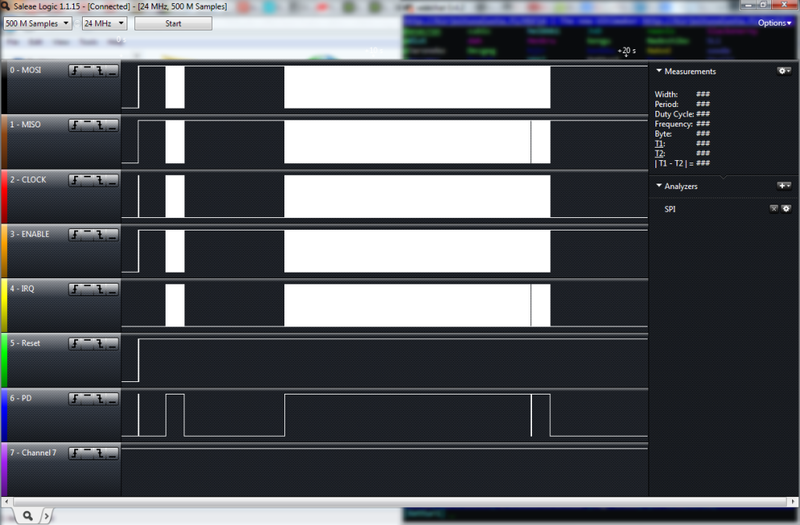 I hooked analyzer to SPI bus, and looked what goes between PSoC and transmitter. Analyzer worked with no problems whatsoever and I got tons of data. When keyboard is turned on it screams short burst to transmitter, and then if “connect” button is pressed whole buss goes haywire. Yeah, nice, hundreds of SPI commands. VAIO WirellessUSB keyboard SPI to transmitter, here, decode that! And even one keypress burst big packet of data. This is one key, A to be precise, no any other keys touched. A-Key B-Key C-Key here, have some data more to crunch. Diffenece between a and b key packet, I even made this but it’s not helping much. Nice keyboard, but absolutely useless. I have no know-how to really decode the traffic in controller, and what I know it might even be USB HID transferred over SPI and wireless link. 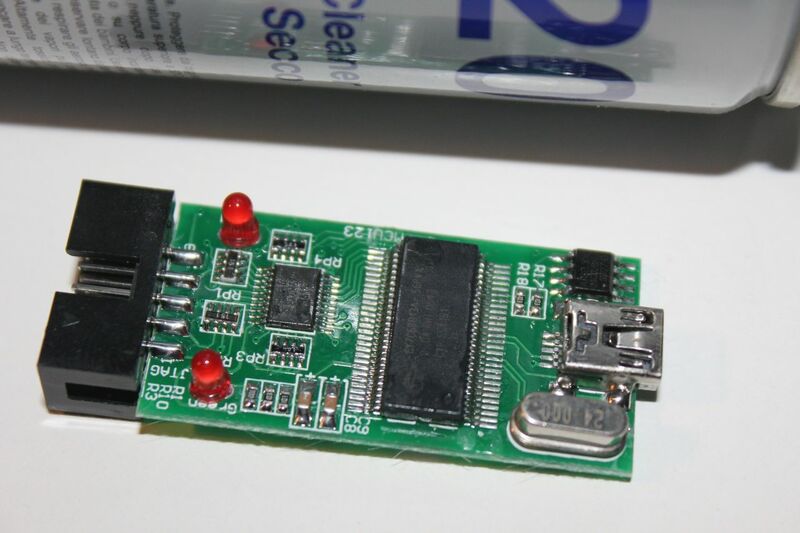 Easier way would be use teensy to scan keyboard matrix and act as usb controller. 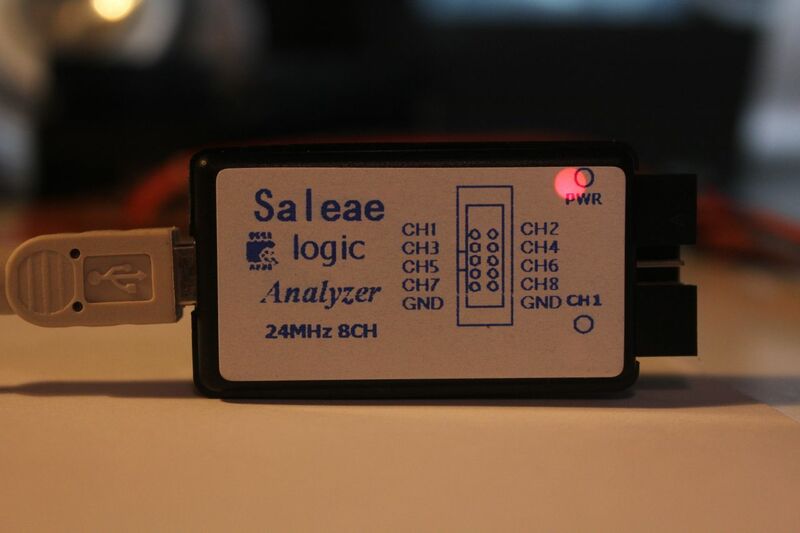 But logic analyzer is tested now, and it seems to be ok, and software is good. Future development and hacking will be much easier with this, no more arduino or printer parallel port for I2C debugging. 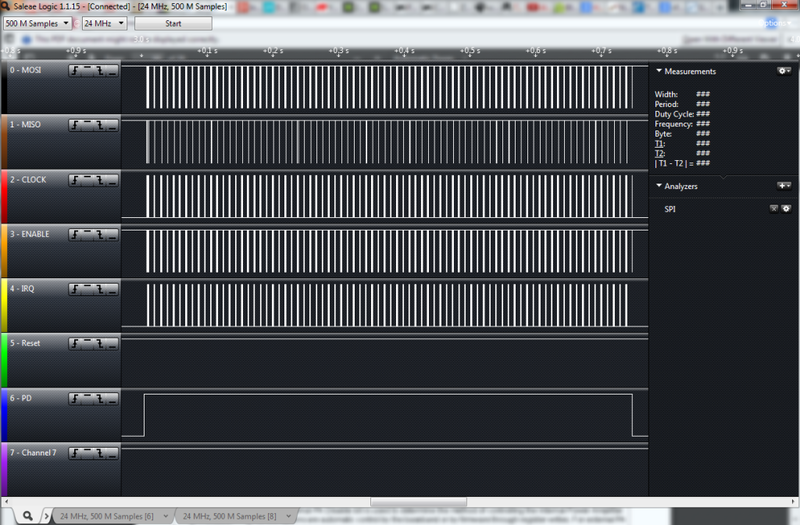 Speaking of which nixie clock i2c decode.csv this would have been so so nice when I was fighting with my clock. Now I see that there is some minor problems still with I2C line, like display is updated too often and some other quirks that could be made better. Thanks, I fixed those, but I have feeling they weren’t the only ones!